It’s no doubt Bebe Cool has the highest number of facebook fans in the whole country at least going by the number of likes on his account. That message is certainly targeting Bebe Cool who has over 53,000 likes compared to fellow top artistes Chameleone with 8,310 and Bobi Wine trailing with 3,776. However, another analysis to this has revealed that Bebe Cool’s high numbers of facebook likes are attributed to the fact that he joined the facebook family a lot earlier than his music rivals. Bebe Cool joined facebook on March 23 2009, Bobi Wine joined June 14, 2012 and Chameleone joined January 30, 2011 so the figures have a bearing on when they actually start embracing the social network, facebook. 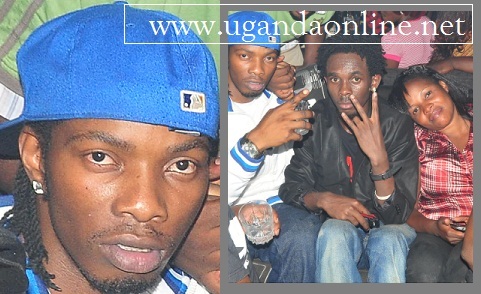 Bebe Cool started using facebook 23 months way before Chameleone did. We hope social network wars do not compromise the time that artistes should be in studio releasing hits. Jose Chameleone’s latest is ‘Moto-Moto’, Bobi Wine’s is ‘Obuvuka’ and ‘Tugambire Jennipher’ and ‘Kabiri Nage’ by Bebe Cool.